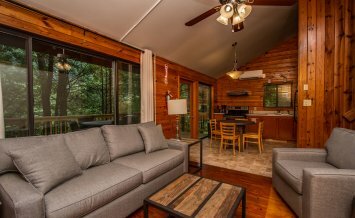 The Nantahala Adventure Pass combines a fully guided whitewater-rafting trip with three other activities: the Zip Line Adventure Park, kayak and stand up paddleboard rentals on Fontana Lake and mountain biking on our campus trails. 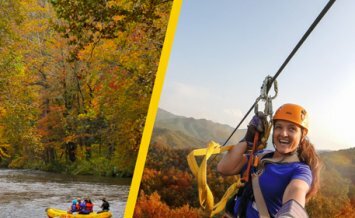 Save big with the best deal in outdoor adventure.Take advantage of Nantahala Outdoor Center’s most convenient and popular multi-activity offering for a savings of close to $100 per person.The Nantahala Adventure Pass is only available seasonally from Memorial Day - Labor Day. 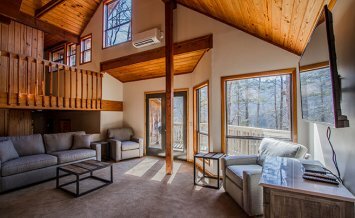 During the fall we recommend the River-to-Ridge package, Nantahala Fully Guided rafting trips, and the Mountaintop Zip Line Tour. 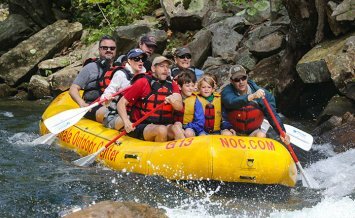 First, begin by selecting the time for your exciting whitewater adventure down the Nantahala River. 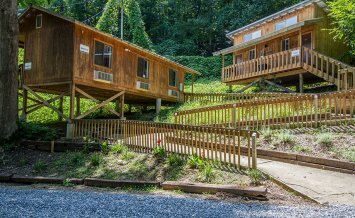 Pick a morning raft trip for a splashy whitewater ride followed by an afternoon excursion on Fontana Lake, biking on the Flint Ridge Trail and Zip Lining at the canopy Adventure Park. 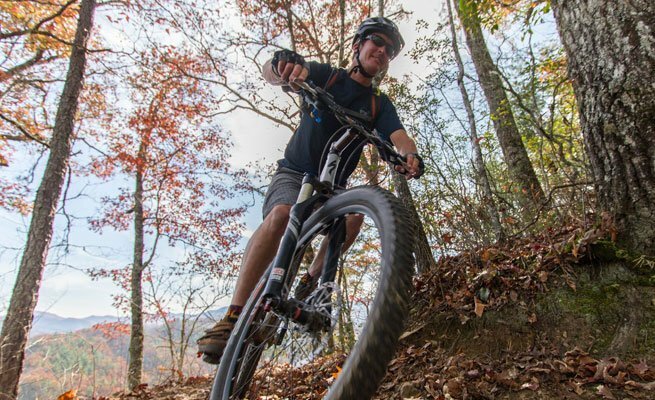 Or… get your adrenaline fix in the morning with a mountain bike tour on NOC’s Flint Ridge Trail. 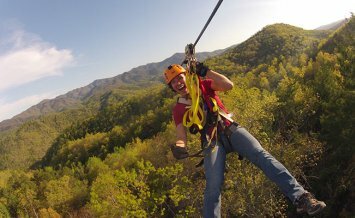 Next, head to the Zip Line Adventure Park to race on the 550’ Wesser zip line. 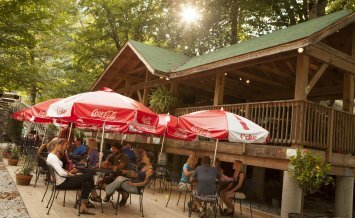 Don’t forget to take a break for a riverside lunch! Round off the day with an afternoon of bouncing waves and fast currents as your whitewater rafting guide shares information about the area’s flora, fauna and rich culture. Still need a little more? 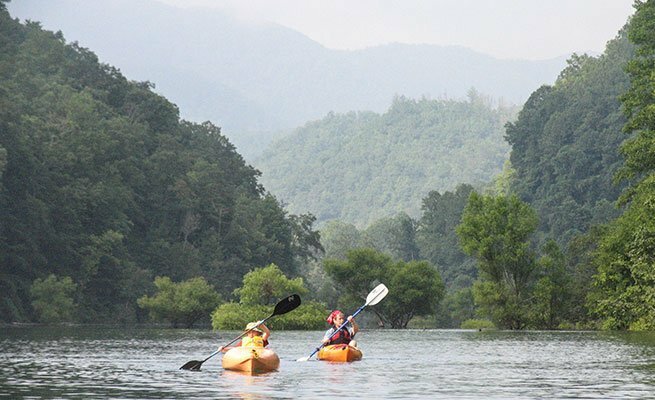 Paddle across Fontana Lake before you call it a day! 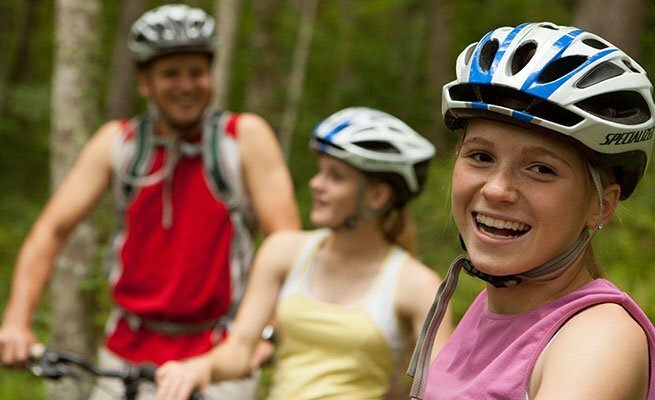 The adventure is yours for the taking, no matter how you choose to arrange this exciting portfolio of outdoor activities! Brand New for 2018: an awesome new obstacle in ZLAP (our Aerial Adventure Park) - a climbing wall with three stations for a whole new challenge! These are intineraries recommended by our guides -- how you schedule the Adventure Pass is completely up to you! 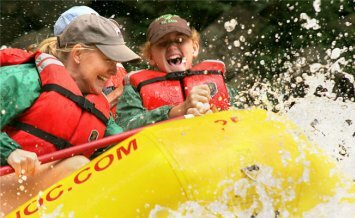 Simply pick the time for your raft trip and spend the rest of your day exploring the other 3 activities. Adventure Pass activities begin at 9AM and should be completed by 6PM.